How much are you paying as average car repair costs? Going to a random car repair shop may not be the best option for you and your vehicle. Many repair shops charge for extra materials that are not even part of your vehicle needing to be managed, maintained, or repaired. 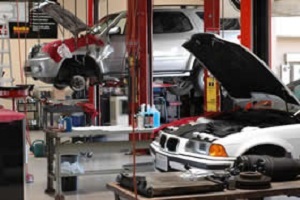 With some Scottsdale auto repair shops, you will see the estimated car repair costs include towel rags, the disposal of oil and such. Things that are not normally included at a car dealership. When you purchase a car from the dealership, you have a warranty and in that time frame you pay little to nothing to get oil changes and maintenance checks. What happens when your warranty ends and something terrible goes wrong with your vehicle? Many car dealerships remain loyal to you as a customer if you remain loyal to them for your annual maintenance checks and repairs. Dealerships are completely aware and educated on precisely what needs to be done to your car at the time frame in which it should be taken care of to minimize future car catastrophes. Contact Tech Plus Automotive, the best auto mechanic scottsdale has to offer, to compare your service cost vs the dealership.